ERNEST HODGSON, PhD, is Distinguished Professor Emeritus of Toxicology at North Carolina State University. 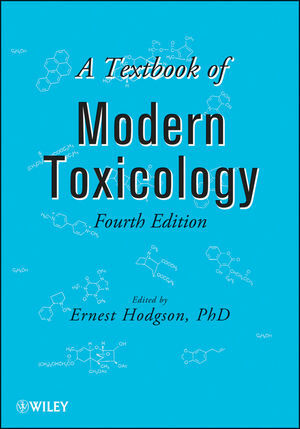 In addition to the previous editions of A Textbook of Modern Toxicology, he coedited Molecular and Biochemical Toxicology, Fourth Edition (Wiley) and its prior editions. Dr. Hodgson is the Editor of the Journal of Biochemical and Molecular Toxicology.